Laboratoire Matière et Systèmes Complexes - Séminaire MSC, 12 novembre 2018 11H30 en 454A. Alexis Peaucelle : "Plant morphogenesis : beauty through music, mechanics and chemistry"
Accueil du site > Séminaires > Archives séminaires > Séminaires 2018 > Séminaire MSC, 12 novembre 2018 11H30 en 454A. Alexis Peaucelle : "Plant morphogenesis : beauty through music, mechanics and chemistry". Séminaire MSC, 12 novembre 2018 11H30 en 454A. 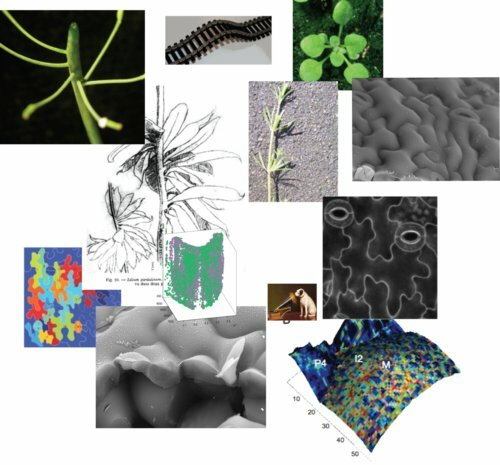 Alexis Peaucelle : "Plant morphogenesis : beauty through music, mechanics and chemistry"
I will first discuss our published but challenged work suggesting an unexpected correlation between tissue elasticity and growth and its chemical regulation. I will discuss these observations in the context of Sonocytology and I will present a new project aimed at studying the hypothesis that the delivery of new wall material links wall rheology with wall growth and that surface oscillations are generated during this process. Finally, I will present another aspect of our work that, thanks to a new microscopy observation of the chemical composition, leads us to propose a new tip growth model : the "inflating brick".